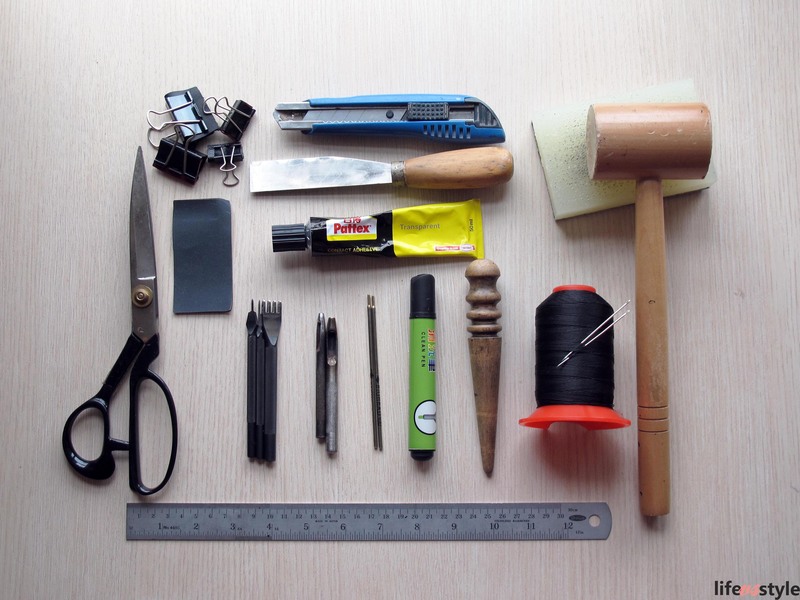 The most frequently asked questions about leather craft, “what tools should I buy?” Oh well, here you are the very very basic tools for beginner. All these tools can be bought from leather shops in Shum Shui Po, HANDS art & craft limited in Wan Chai, online store like Taobao. One thing that is soooooo important, for those knife, chisel, hole punch that needs to be very sharp, buy branded products from Japan (Craft, Elle, etc) or US, don’t buy those low cost tools from China. From my experience, those China tools are very weak, can’t even punch holes out from leather.